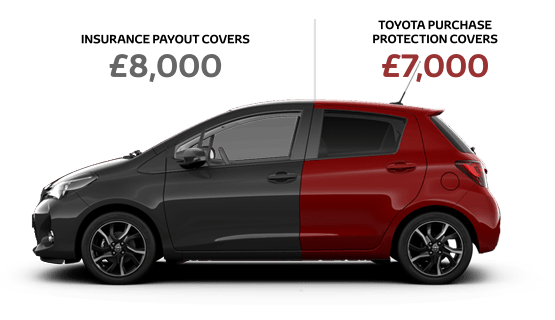 If your car’s written off in an accident, Toyota Purchase Protection can cover a gap in funding if you need to buy a new vehicle. The gap is the difference between the market value† your insurer pays out and what you originally paid for the car. † Market Value means the greater of: a) The value of the Insured Vehicle (excluding contents) at the Date of Loss as assessed by the insurers of the Motor Insurance; or b) The Market Value of the Insured Vehicle (excluding contents) as at the Date of Loss by reference to Glass’s Guide Retail Value. *Your motor insurer may charge you an excess when you make a claim on your motor insurance policy. Looking to finance your new Toyota, or approved used model? Chose from our flexible range of finance packages.